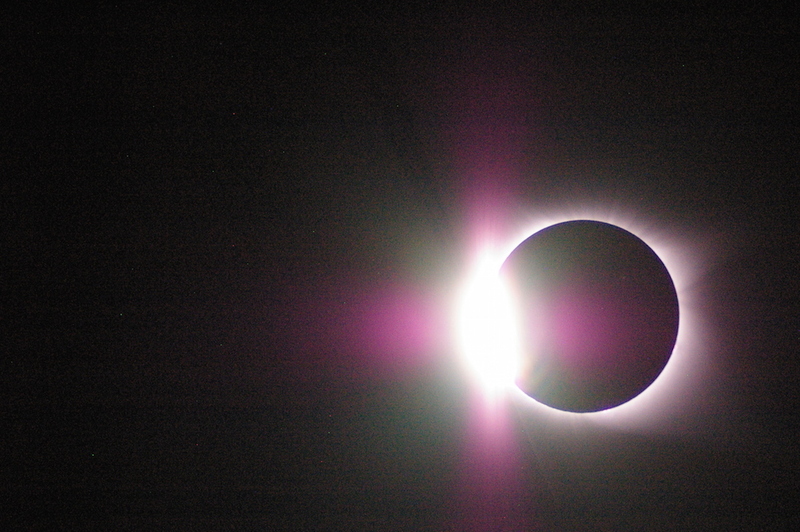 This is the second of four posts related to our August excursion to see the solar eclipse. Last Monday afternoon, August 21, in the back yard of Thee Matriarch Bed and Breakfast in Orangeburg, South Carolina, Keith’s youngest brother Kim set up two telescopes and a video camera to record our viewing of the total eclipse of the sun. Earlier in the day, clouds had partially obscured the view, but by early afternoon, the sky was almost completely clear. Our gracious innkeeper, designer Rachelle Jamerson-Holmes—husband Fred is the fabulous chef—gave us permission to take over their back yard. Kim calculated the exact location of the sun at time of the eclipse and positioned the telescopes beyond the reach of the inn’s towering pecan trees. Kim has been a serious amateur astronomer for forty years. The pictures in this post are his, taken by a digital camera attached to one of the telescopes. The other telescope sported a second video camera—he did not want to miss a moment of this astronomical event. While researching this event, I read that for every eclipse in the past several years, Welsh singer Bonnie Tyler has gotten requests to sing her 1983 hit “Total Eclipse of the Heart.” Last Monday, she was on an eclipse cruise ship, belting out the song in its abbreviated 2 minute 40 second version to match the eclipse’s timing. 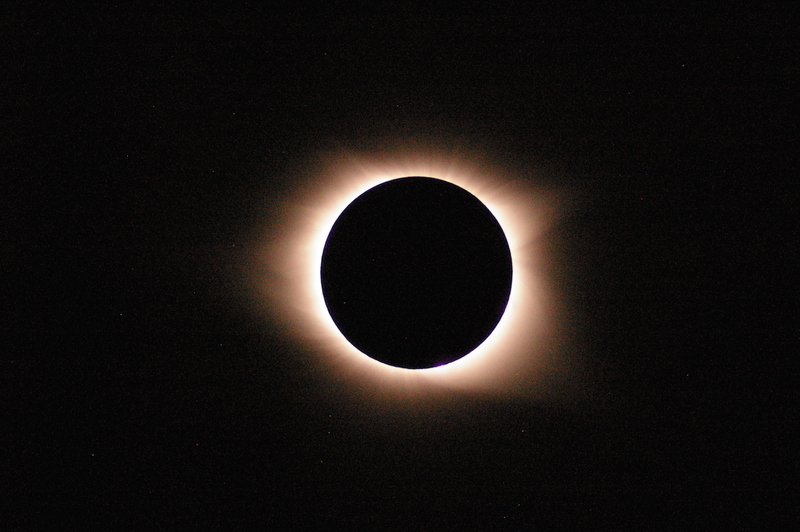 The connection between the song and the event puzzled me because the lyrics speak not of the physical, mental, and heart-felt joy of an eclipse, like we experienced, but of suffering in darkness, the loss of light and love. Then I thought about some of the ancients who sacrificed human hearts to the sun, to feed the darkness and bring back the light. Perhaps an eclipse is about darkness and light, in nature and the human heart. I looked at this stunning image in the sky last Monday afternoon and wondered at God’s perfect creation. We need Him more than ever. He holds us tight forever if we humble our hearts.